Your body has four small parathyroid glands, one located on each corner of the thyroid gland. Their responsibility is to produce correct amounts of the parathyroid hormone (PTH), which is responsible for maintaining the correct balance of phosphorus and calcium in your body. When this balance is interrupted, it can have mild to serious effects on your health. If diagnosed with hyperparathyroidism, your doctor may run a bone density test to assess your risk of osteoporosis, and/or urine and imaging tests to monitor your kidney function and check for kidney stones. These tests allow your doctor to see how seriously your health is threatened by the disease, and provide appropriate treatment. If you have no serious complications, your doctor may recommend close monitoring of the condition without treatment. If symptoms develop, treatment can include hormone replacement therapy, medications, and surgery. Surgical treatment involves the removal of one or more parathyroid glands through a small incision in the neck, and can usually be performed as an outpatient surgery. In severe cases, calcium may need to be administered through an IV in order to decrease muscle spasms. Long term treatment includes calcium and vitamin D supplements; in addition, a calcium-rich and low-phosphorus diet is recommended. Many times parathyroid disease can be treated with minimally-invasive surgery under local anesthesia. Whenever possible laparoscopic surgery is used which allows surgery to be performed with small incisions, resulting in a shorter hospital stay and quicker recovery time. Otherwise, open parathyroid surgery is performed by making an incision in the neck about 6 inches long under general anesthesia. The patient is asleep and unable to feel any pain. During parathyroid surgery, the surgeon inspects each of the four parathyroid glands to see which are enlarged and need to be removed. In almost all cases, only one of the four parathyroid glands is removed. In the very rare case that all four glands are enlarged, then three are removed and part of the fourth, leaving some part behind to provide the hormones that the body needs. 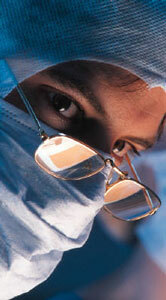 Most patients are treated with minimally-invasive surgery and can go home the same day or the following day.